I have a picture on my wall, a wedding present, which is an impressionistic photograph of a flock of Pink-footed Geese by the Norfolk photographer (and fellow Bird Watching contributor) David Tipling. The geese are just rising into the air, movement-blurred shapes with the odd beak – or pink foot – picked out in sharper focus. I don’t know exactly where the photograph was taken, but North Norfolk is rightly known for spectacular numbers of wintering Pink-footed Geese, which decorate the sky with long V-shaped skeins as they travel daily between their feeding and roosting areas. Pink-feet have a limited world distribution, and breed only in Iceland, eastern Greenland and on Svalbard, divided into two separate migratory populations. Birds that breed in Iceland and Greenland winter almost exclusively in Scotland and England, and birds from Svalbard travel through Norway and Denmark to spend the winter in the Netherlands and Belgium. Our knowledge of the movements of these birds is thanks to extensive ringing studies, first in the 1950s by Sir Peter Scott and colleagues, and then in the 1990s onwards by the Wildfowl and Wetlands Trust. Of all the Icelandic-breeding Pink-feet ringed in Britain and Ireland, and on their Icelandic breeding grounds, only a handful have moved to join the Svalbard population – but this is thought to be sufficient to allow gene flow between the two groups. The Icelandic-breeding population has increased massively in recent years, thought to be due partly to better food supplies in the UK in winter, and the ban on the sale of shot geese in the 1970s. According to the latest Wetland Bird Survey report, in the winter of 08/09 an impressively accurate 339,732 birds were recorded by volunteers in coordinated UK-wide counts, and it was estimated that the total population of Icelandic flyway Pink-footed Geese (the larger of the two populations) was over 351,000 individuals. This was an exceptional 23% increase on the previous winter, and a high point at the end of a graph that has shown a continuous increase since the mid 1980s. From ringing recoveries, it’s well known that Pink-footed Geese do not stay in one place during the winter months – they tend to shift around to different areas in the UK, and in December 2008 over half of the total wintering population was present in Eastern England. My favorite place to watch the Norfolk birds is on the grazing marsh at Holkham, on the North Norfolk coast, but they are present on agricultural land across the whole area. One reason why the geese are so fond of Eastern England is the spread of sugar beet farming. The leaves, stalks and tops are cut off before the crop is harvested, and are often left in the fields to fertilize the soil – a food supply irresistible to Pink-footed Geese, which are also attracted to the large open fields used to grow sugar beet. Farmers are now encouraged to leave the sugar beet tops on the fields, rather than ploughing them in, as this diverts the geese away from more valuable growing crops, such as winter-sown cereals. In a flock of thousands of Pink-feet at Holkham, I generally see a number of ringed birds, many of which also wear plastic neck-collars, marked with a unique code of letters and numbers, readable through binoculars or telescope. These are birds marked as part of ongoing studies into migration and movements of these winter visitors, and the ringers rely on sightings submitted by birdwatchers to further their research. 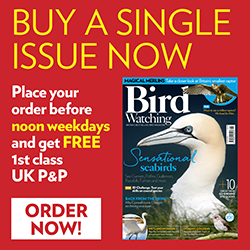 By sending in your sightings of marked birds, you will not only receive a full history of all the sightings of that individual, you will also be contributing to the knowledge of this important population of birds, for which we as a nation hold such great responsibility.